Thanksgiving shouldn't just be about the big dinner. You'll be with family and friends, so why not start the day celebrating. 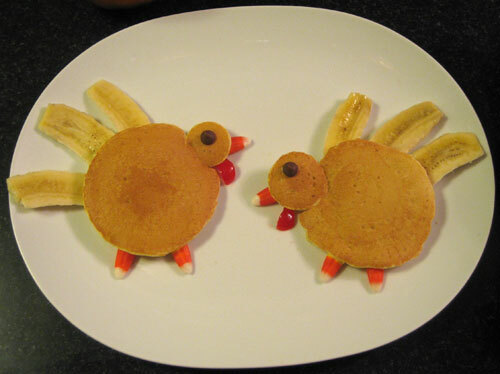 These pancake turkeys are super fun for kids. They can help make them and then gobble them down. You probably don't need any explanation beyond the pictures, but here's a little tutorial. This recipe makes 2 pancake turkeys. Happy Thanksgiving! Gobble! Gobble! Any pancake mix will work (we used a simple just-add-water mix). 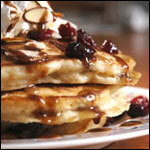 For a great pancake batter you can make from scratch, click here. First, make "feathers" out of the banana. Slice the banana in half crosswise. Take each half and cut into three thin slices lengthwise. (You may actually find it easier to slice the banana with the peel still attached and then gently remove the peel from the slices.) Set aside. 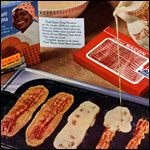 Heat a griddle or large frying pan to medium-high heat (about 325 degrees). Coat with cooking spray or about 1 Tablespoon of butter. The griddle will be hot enough to cook with when a drop of water dripped on the surface dances then quickly sizzles away. Make the turkey's head by pouring a circle of batter about 1 inch in diameter. 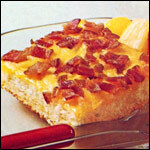 Let this cook 20 seconds before pouring the batter for the body. Pour a circle of batter about 4 inches in diameter to make the body. The head and body should intersect slightly so the two pieces are attached. 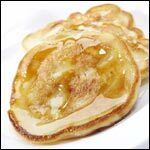 When the tops of the pancakes are covered with bubbles and the edges look cooked, carefully flip the pancakes. Try to get the head and the body under the spatula at the same time to prevent the pieces from separating. Cook an additional 2 minutes or until the undersides are golden brown. Transfer the pancakes to serving plates. Lay 3 three banana slices along the top edge of each turkey body to make feathers. Use candy corn to make feet and beaks. 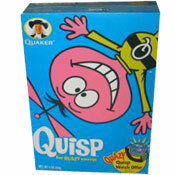 Place either a raisin or a chocolate chip in the center of each head to create eyes. Finally, place a thin slice of a maraschino cherry or a dab of strawberry jam beneath each beak to form the wattle. Gobble. Gobble. 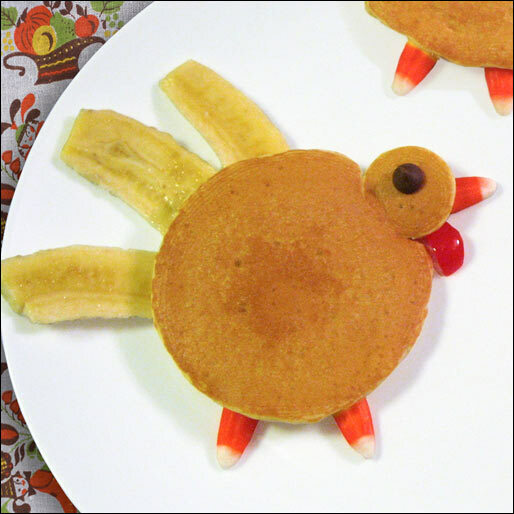 Time to gobble up your pancake turkeys. For more Thanksgiving fun, visit Mr Breakfast's Thanksgiving Page. Here's a turkey that even vegetarians will gobble up. A fun project for kids. Happy Thanksgiving! What do you think of Pancake Turkeys? I'd rather eat these vegetarian turkeys than tofurky anyday! So cute. My 6 year old is so excited to make these the day after Thanksgiving for her dad. Thanks. We really like your recipes.